FitnessRX for Men > Nutrition > Supplements > Recovery > This One Supplement Could Dramatically Change Your Body Forever! This One Supplement Could Dramatically Change Your Body Forever! We’re all looking for a quick hack to a better body. We scour the internet in the hopes that we are going to stumble across some new science that is going to lead us to becoming more ripped and shredded than ever before. Problem is that many of us are looking way too far into what is going to help us achieve those ultimate goals. Often times we find that the best vitamins and ‘supplements’ come from our whole foods diet approach in the first place. The natural enzymes in our bodies allow an accurate breakdown of nutrients and then allow us to absorb them in a much more natural and bio-available way. So is it possible that we have skimmed over some of the all time best supplements by ignoring what naturally occurs in the food around us; in this case in the cold Atlantic waters up north? Most of us know that Omega-3 Fatty Acids are of very strong benefit to our hearts and circulatory system, but many of us lack the understanding of just how much these fatty fish supplements can improve the quality of your life, and in this case, the quality of your physique. It all comes down to inflammation and the body’s overall response to it at a cellular level. When many of us think of inflammation, we think of bumping our knee and the general swelling that occurs at the site, however, there is a much more dramatic effect happening at an internal level in a very chronic (long term) state. In short, this inflammation is causing us a multitude of painful issues, but most importantly – for the sake of this article – it is causing us to lose muscle and store fat! When you have inflammation in your body, specifically in the intestinal tract (which is exceptionally common in the American diet), it causes poor absorption of nutrients, which sill not only lead to elevated cortisol levels and increased abdominal fat, but also an increase in appetite and even excess insulin production, which can leave you feeling lethargic and miserable (and of course at risk for diabetes). So how does fish oil help us combat this pesky inflammation that is hindering our athletic and physique goals? It’s all in the docosahexaenoic and eicosapentaenoic acids… or more widely known as DHA and EPA, the omega-3 long chain fatty acids contained in fish oils. These two fatty acids, mainly DHA in the case of inflammation, cause an increase in anti-inflammatory hormones that actually reverse the process of inflammation within the intestinal tract. The proper use of omega-3 fatty acids also helps the ratio of omega-3 to omega-6 fatty acids in the body, which even further helps eliminate inflammation. This reduction in inflammation means that your body will now absorb more nutrients, be more efficient at utilizing those nutrients which is going to ensure that your muscles get what they need to function at their top performance. Your muscles functioning better means a higher metabolism! The bottom line of all of this is that consuming a diet relatively high (2-3x per week) of fatty fish such as salmon or mackerel will not only benefit your heart from the standpoint of lubricated blood, but it will actually make you look better in the short term!. It is, one of the quickest hacks to achieve a less inflamed and bloated body! 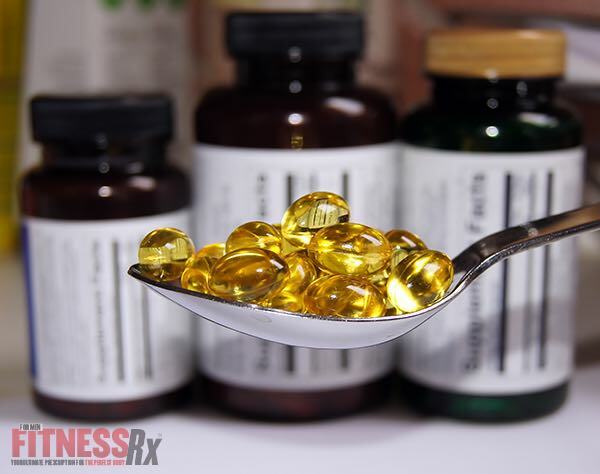 Of course, there are plenty of fish oil supplements out there, but not all of them are created equal. How much should you take? Most experts recommend taking about 1g of fish oil per day to assist with heart health and to help lower triglyceride levels, but from an anti-inflammatory standpoint, it is recommended to consume a bit of a higher dose to fully slow down the body’s inflammatory attack on itself! So it is recommended to take between 2-3g of fish oil throughout the course of the day. Lastly, when looking to a fish oil supplement, try to find one that is of course a marine source of EPA and DHA and most importantly one that has a higher ratio of DHA to EPA. A higher DHA content allows for not only more of an anti-inflammatory effect, but also allows for better utilization of the EPA fatty acids as well. You will start noticing a difference within days of beginning supplementation. EPA and DHA are two of the most important nutrients that humans can consume, so stock up!